Russia is an extensive country filled with a wide spread of its soil and rich vegetation. It also has a wide range of flora and fauna. From tundra zones till taiga zones, one can definitely find a whole range of such diversity of plants in Russia. Furthermore, we will be so blown away by its natural landscape originating from Russia. Endemic plant species make up to 20% out of vascular plants noted in Russia. From the post below, we will be covering 6 never heard of endemic plants that originated from Russia that we never knew of. Many plant below this list are only found in natural park reserves. In another words, many of them are already considered an endangered species. Their habitats are threatened by rapid climate change, or even human forest degrading. Even within Russia, mining and logging are still done legally and illegally which have conclude their endangerment. 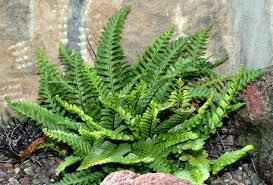 First, Dagestanian Spleenwort came from a fern type and it belongs to the spleenwort traits. This particular species is endemic and endangered. It is currently protected Federal Subject of Russia. Within this county, a handful of them are found between the districts of Agulsky and Khivsky. Furthermore, this is an area covering approximately 546 square miles. In addition, Dagestanian Spleenwort lived in a confined to altitudes from 5,900 feet to 7,545 feet. Due to rapid climate change, this plant is considered critically endangered as it is affecting its microhabitat. Paeonia Lactiflora are considered one of the valuable plants found in the reserve today in Russia. It has ancestorial traits of many plants we have today in modern time. These plants love sunny habitats and they produce large white and pink flowers. Furthermore, thus plant could grow fast and in clusters. 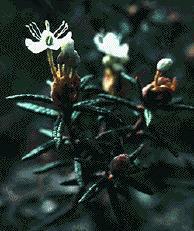 The next to mention is Labrador Tea. This plant grow in the southern latitudes of the tundra. In addition this plant are able to survive in a colder latitude. It’s leaves are around 2 inch wide and branch are covered in wool texture. Furthermore, white clusters of flowers are at the end of the stamen. It normally bloomed in the month of June and July. Labrador Tea plant can reach up to 4 to 5 feet tall. 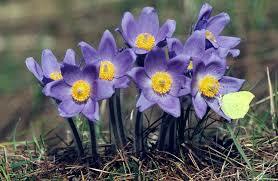 Another endangered endemic plants found in Russia is the Nasczokin’s Lime. Nasczokin’s Lime belong to a Tilia genus where it is a group of 30 species of trees source from the Northern Hemisphere. This specific plant grew in the Siberian region with its trunk colored in pale color. Its unique leaves are in oval shapes that can grew up to 6 inches. Nasczokin’s Lime can grow up till 65 feet high. This tree also produces small with green color fruit. Many efforts were spend to conserve this endemic plant and it is currently include in the list of a threatened species. 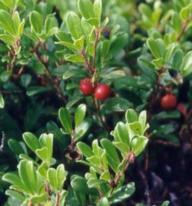 Bearberry is a plant that grow at a lower ground. It has thick looking bark but has fine silky hairs on its leave. The flowers are in pink or white in color and it has five petals accompany to it. Not only that, Bearberry normally bloom between the month of March and June. It also bears red berries as its fruits. Bearberry uniquely got its name after bears that normally hunts these berries for their feasts. The next one, Lychnis Fulgens are one of the clusters of shrub woods. This shrub comes in bright red flowers. There are many other similar shrubs under the same root although they do come in similar special attention plant. The place where these shrub found are in a vast area of northern region. In addition, this area sees many other plant life which not only restricted to lichens nor mosses. Russia’s floras was very beautifully widespread.